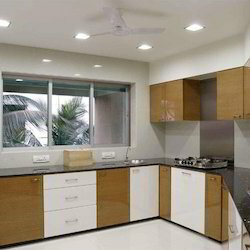 We are specialized in providing a broad collection of Modular Kitchen. 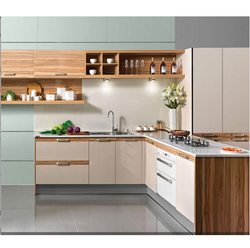 Our offered modular kitchen is made from melamine board as per the latest designs in the market. This modular kitchen is well tested on numerous quality parameters to ensure defect free range. Moreover, our modular kitchen is maintenance free and can be availed within a given time period. We are listed at the apex for manufacturing and exporting an ample range of Kitchen Modular Wardrobes. Manufactured using supreme quality wood obtained from the reliable vendors, we assure the premium quality of the whole range of wardrobes offered by us. In addition to this, the product offered by us is immensely appreciated for its long lasting life and fine finish.